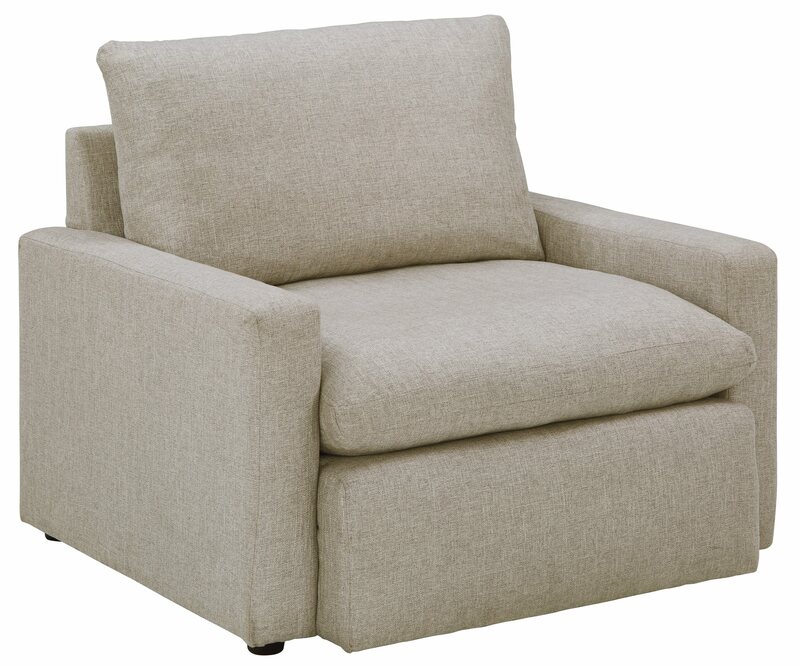 Luxurious and indulgent, this oversized chair reaches divine levels of comfort. Sleek track arms and feather-filled cushions feel like you’re drifting away on a cloud. Sprawl out to your heart’s desire on the spacious seating and charming ash-colored palette, and enjoy its heavenly repose.